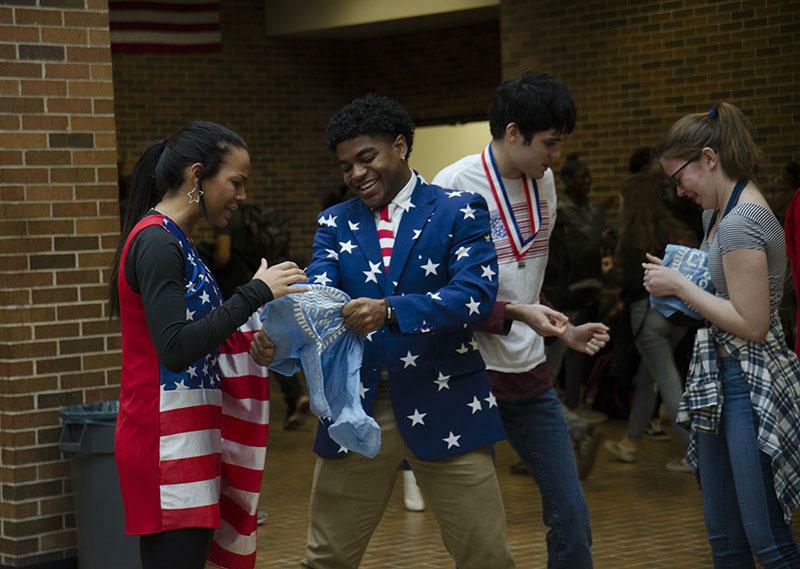 Before Courtwarming Week began, however, Student Council members picked the overall theme then selected specific topics for each day weeks in advance. Members began the process by meeting with representatives of their grade to come up with ideas, sophomore Student Council member Peyton Brooks said. “We suggested ideas to each other in a meeting and [Happy Holidays] was a precious idea that was brought up and was represented by Luke Simon,” Brooks said. Each day of the week, Student Council encourages the student body to participate in school spirit by dressing up. For example, Wednesday, Feb. 13, students can dress up for the “Snow Day” spirit theme either in winter weather gear or in their pajamas. Additionally, students retain the freedom to participate Feb. 14, with the theme of Valentine’s Day simply by wearing red or dressing as their favorite person. Junior Katy Miller said the theme of “Holidays” enjoys this year’s theme for its inclusiveness. I love everybody’s creative ideas to interpret the theme! What were last years themes? I think homecoming and courtwarming weeks are the times when school spirit really shines. It’s always fun to see what people are wearing during spirit week!